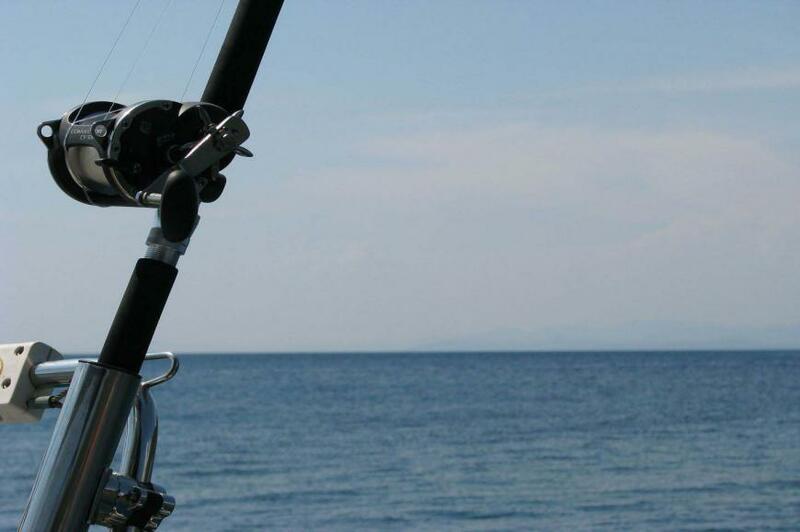 Get ready to experience and have fun with a game fishing day trip. 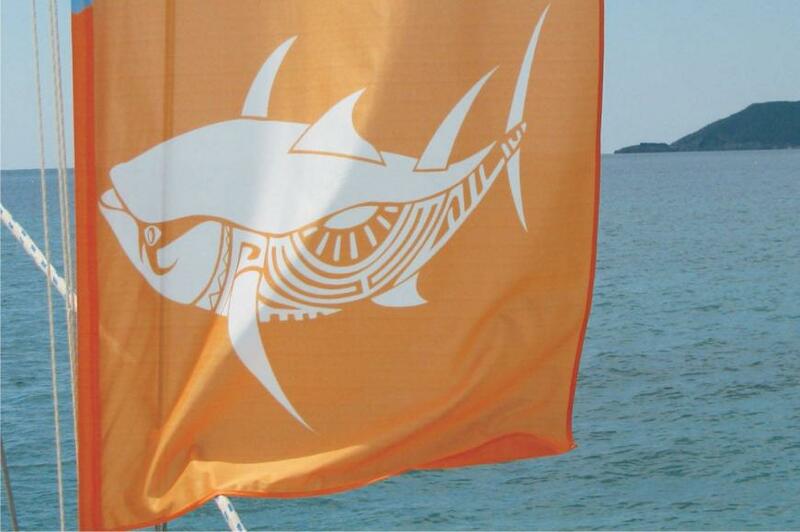 Our experienced captains will take you to places with plenty of fish and especially tuna not very far from the coast. For those with no previous experience, we will fully inform you on the methods of game fishing, how to use fishing gear and how to find fish. 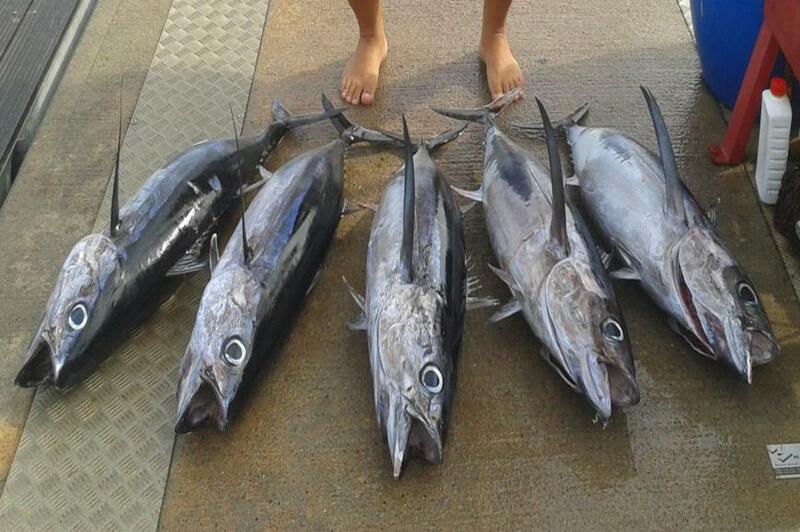 Typical tuna size is 8 Kg and more. The boat takes off early in the morning from Neos Marmaras. The only thing you need to bring with you is your sunglasses your hat and sunscreen and a camera. Enjoy the journey and return with fish to barbecue with friends. 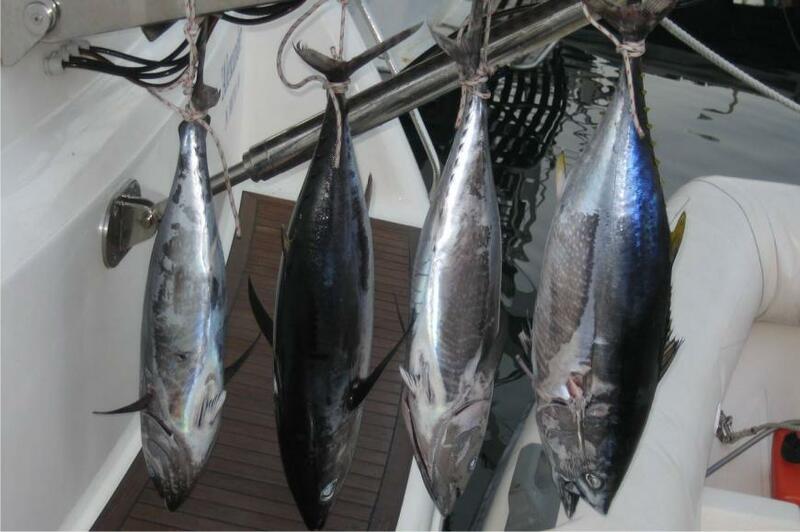 We can go fishing for a lot of kinds of fish.Tuna, bluefin, albacore, yellowfin mainly. Sizes differ from 10 kg to 60-80. Season starts late July to late November. 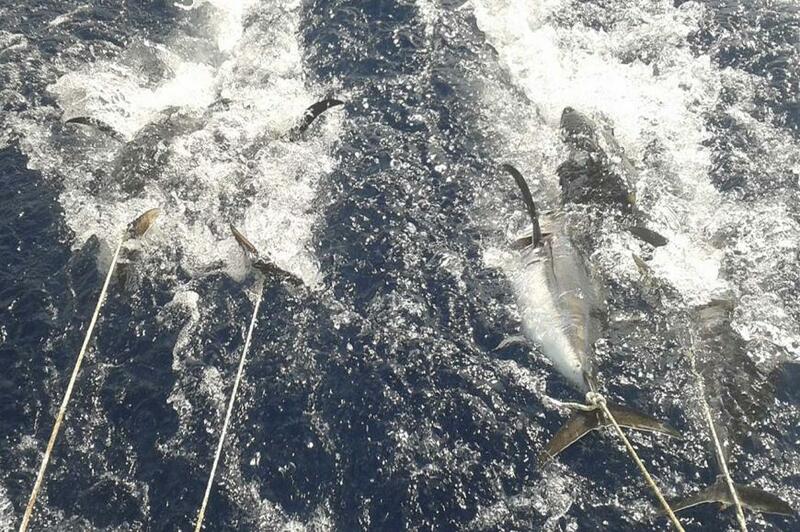 Swordfish and Mediterranean marlin (very rare) all seasons, Mackerel (palamida) from late June to late November. We focus on these game fish species to provide the best experience for clients. All these are trolling species. And if Tuna is nowhere to be found Mackerel typically end up on our grill. Kynigos (Mediterranean mahi-mahi) also is great fishing as its a very strong fish. The best part is the experts fishermen that with a full knowledge of the area can make this trip a great experience. 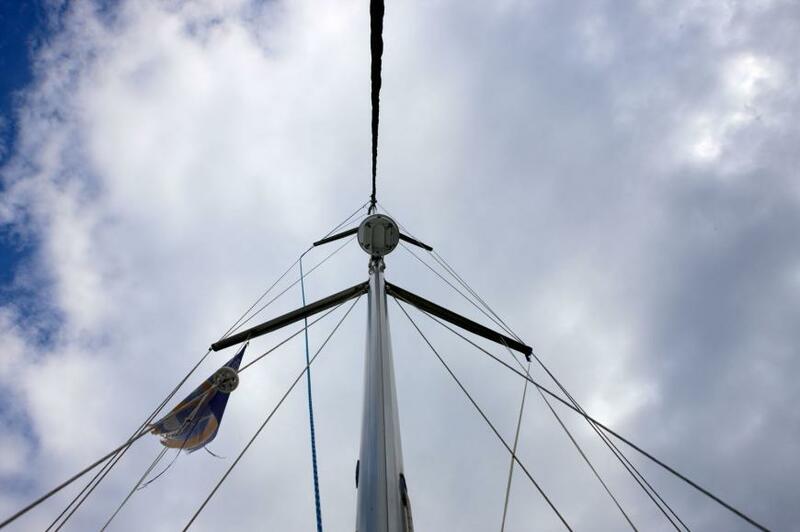 Cooking of the catch immediately on board and Greek specialties along with ouzo and tsipouro make it a day to remember. Fishing gear is included. At any given time we troll a minimum of 5 big game gears. Each rod reel combination, depending on the target species is optimized. 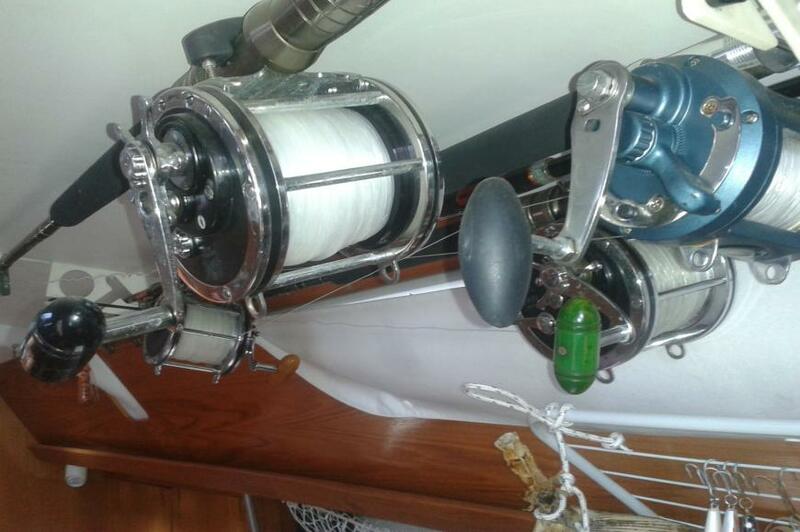 Typical medium size gear is 30-50 lb Penn rod with senator 9/0 Penn reel and 800m of 0.8 clear fishing line. This combination is good enough for 100 kg fish and bigger. Large gear is 80lb wide 2 speed Penn international with more that a 1100m 1.1 line and 80 lb shimano rod. Leaders are made of high quality fluorocarbon line. There are larger gear and smaller gear. 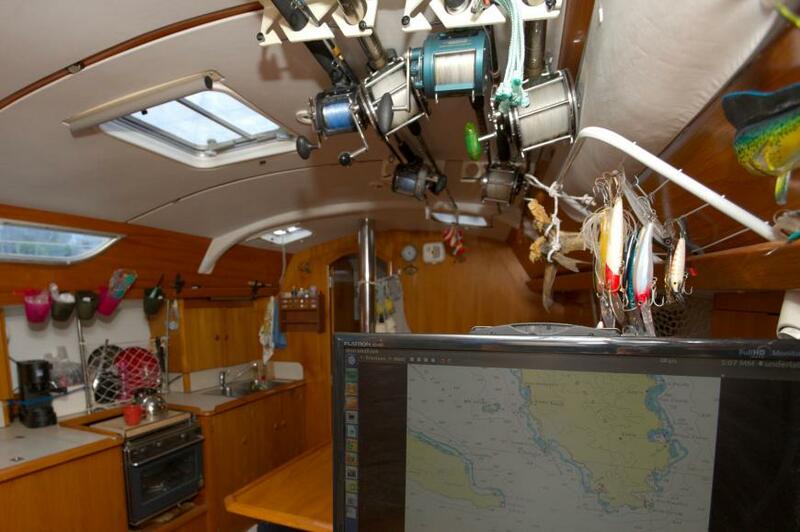 We have electronic tuna teaser, forward looking sonar (on specialty prepared sailboat) also we use aftco harness. Very extensive lure collection with a lot of rapala and williamson lures and squids. Actually the most effective lures are handmade by us. 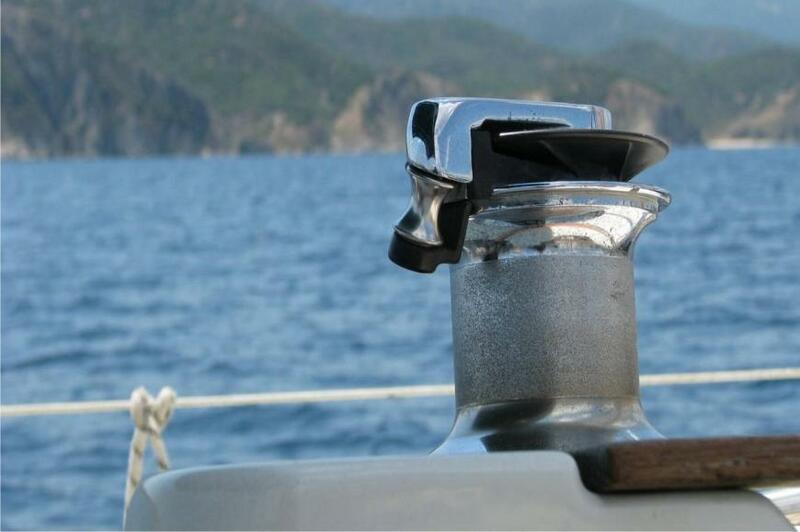 Fuel (for sailboats), Water, Electricity. We cook on board some appetizers. Duration: 8 hours_ Main Pick up point: Neos Marmaras Port Departure time: ...:00 a.m Arrival time: ....:00 p.m Pick up from Kalikratia, Nea Plagia, Dionisiou,Flogita,Moudania,Gerakini, Psakoudia, Metamorfossis,Nikiti available.